Citing sources familiar with the matter, Macotakara is making the claim that Lightning will be retained. Reasons claimed are to keep costs down, as well as to prevent antagonizing customers and manufacturers with a shift to the newer connection method. The information was obtained from a series of manufacturers who told the publication that the older Lightning would be retained. For comparison's sake, the 30-pin connector was introduced on the third generation iPod in 2003, and ran for nine years until it was replaced in 2012. A shift to USB-C in the 2019 iPhone means that it would only be seven years between connector replacement. The spec for USB-C was initially submitted in 2012, and published in early 2014. 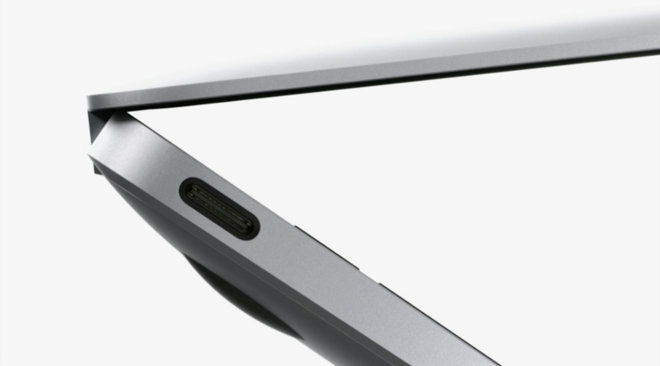 Apple's first product to incorporate the connector was the Retina MacBook, rolled out on April 10, 2015. Apple link text with the release of the new iPad Pro lineup in late 2018. Rumors immediately started that the company would migrate the iPhone to the connector, with a resurgence of them in January. 5W charging only, in 2019, on an expensive high-end mobile phone? To 'keep costs down' - when 20W USB C fast chargers come by default now with mid-range Android phones? Still, there's the wireless charging, maybe Apple considers connected-charging 'legacy' nowadays. Fast charging at 20w daily isn’t really good for your phones battery. But they could at least include a 7.5 or 10 watt charger. Shipping with a 5W charger, same as iPhone first gen when Apple clearly says you can use the iPad higher watt charger without issue is the kind of thing that makes people despise Apple. It's cheap and in a $1500 phone inexcusable. Wireless charging is okay but inferior in many respects to wired. You can't talk on a phone (non speaker) on a wireless pad. If they keep lightning it should be USB-C on the other end. I don’t think that’s an issue anymore. I use Apple’s 29w USC-C charger with my iPhone all the time. No problems. What you’re saying has no factual basis. Apple surely knows how people charge their phones as they collect data from almost every user. If they found that the majority of customers, the majority of the time charge their phones overnight, through other means, then they have no reason to include a more expensive charger as standard. All this ‘will they or won’t they switch to USB-C’ is really giving my pause about whether I should start upgrading my cables from USB-A to lightning to USB-C to lightning. I don’t want to upgrade now if next year or the year after I’m going to have to replace them all over again. I usually spend $15-$20 per cable to get Ankers high end cables with a lifetime warranty so it’s not a small small investment, replacing them all would cost a couple hundred dollars, and the new USB-C to Lightning cables are all going to be even more expensive. The nice thing about the 5W charger is that's it's extremely small and light. You can tuck one in a pocket and not even know it's there — excellent design. People whose usage demands a quick recharge during the day can make other arrangements, but I suspect that most users are well enough served by a 5W charger. In fact don't most people charge their devices overnight? In that case even the 5W charger is more than needed. However for home use I installed combination wall outlets with AC and USB (2.1A/10W) outputs in the kitchen and bedroom. These work perfectly for overnight iPhone and iPad charging. So collecting stats on all their users is fine as long as it's Apple doing it? Gotcha. The reason I’ve repeatedly heard for keeping the old charger is that people, especially women, really want that smaller to be as small as possible. They want to be able to keep it in their purse and it take up a little amount of space as possible. They’re getting close the the new 18w USB-C charger they include in with the new iPad Pro. It’s just as thin and only a little longer, but it’s still nearly double the width. I also think as as the poster above mentioned, most people charge their phone at night and that charge gets them through the whole day so they don’t care how long it takes to charge if they’re sleeping anyway. There is another possible reading. Users know the only period long enough to charge their phones is at night and so they work to that end, making sure they have enough juice to get them through to nighttime. In essence they walk the Apple walk. Fast charging is so good that you could have a coffee and top up while drinking it and get a lot more use out of the phone. In that situation the shackles are effectively taken off and the user doesn't have to worry so much about usage patterns. Any data Apple collects is anonymized. The data collection isn’t the issue people have. It’s the data collection that is tied to your real identity. Data collection to improve product, most will be OK. Data collection to share with others which can can potentially leak to bad actors or jeopardize user in any way, that is huge problem. Fight for privacy is because of data sharing and potential risk we all have faced and could face. As far as iPhone port is concern, if Apple internally decided in future to move iPhone to USB-C than sooner is better and year 2019 is as good as 2020/21. It seems going portless/wireless on phone is still few years down in future and no new/better port design/standard on horizon. I can understand why people would complain but generally you are charging overnight and fast charge is completely unnecessary. That being said, if you forget to plug-in before bed, you are put in a spot where a fast charge option would be nice in some situations. Most vehicles have a USB-A port in them now and you can keep a cable in there to charge on your commute or most people have an extra cable at the office or carry a power bank. I can see both sides of the argument but generally people do not need fast charge. The reality is, even if Apple moves to USB-C and you start upgrading your cables from -A to -B, you’re still going to need USB-A cables at 98% of the public spaces where you don’t have your own charger. You’re going to need adapters for cars, planes, airports, coffee shops, hotels, offices, friends houses, built-in outlets, etc. and will need them for years to come. See my comments above. I have Lightning cables everywhere, and it seems like I only just recently got rid of the last of my 30-pin Dock Connector cables, and finally have enough Lightning cables to meet my needs. To say nothing of Lightning adapters, and Lightning accessories I’ve purchased. So I’m not really sure how Apple switching to USB-C on the iPhone is going to help me. If anything, I’m going to have to buy all new cables, and accessories. With an iPhone 8, I can have a wireless charger at home, and can use them at airports and coffee houses. And if I need to borrow, or buy a cable because I left mine at home, I can go to any 7-11 and buy one 24 hours a day. I work on an office campus of 5,000 people and I would be hard pressed to find one USB-C cable, where’s about 70% of those in my office have Lightning cables. apple should leave the Lightning port alone in the iPhone, and let people move to Qi, which is fast becoming a more common standard than USB-C in public spaces, not to mention more convenient. Count me as a supporter for never replacing Lightning port with USB-C.